Once the elephants in the room disappeared, it turns out the circus itself wouldn't be far behind. After 146 years under big top tents, executives of the Ringling Bros. and Barnum and Bailey Circus announced Sunday it would close forever in late May. "Ringling Bros. ticket sales have been declining, but following the transition of the elephants off the road, we saw an even more dramatic drop" said Kenneth Feld, CEO of Feld Entertainment that produces the circus. "This, coupled with high operating costs, made the circus an unsustainable business for the company. The beginning of the end of "The Greatest Show on Earth," can be traced to the mid-1990s, when the ABC7 I-Team exposed violent methods used by circus elephant trainers. 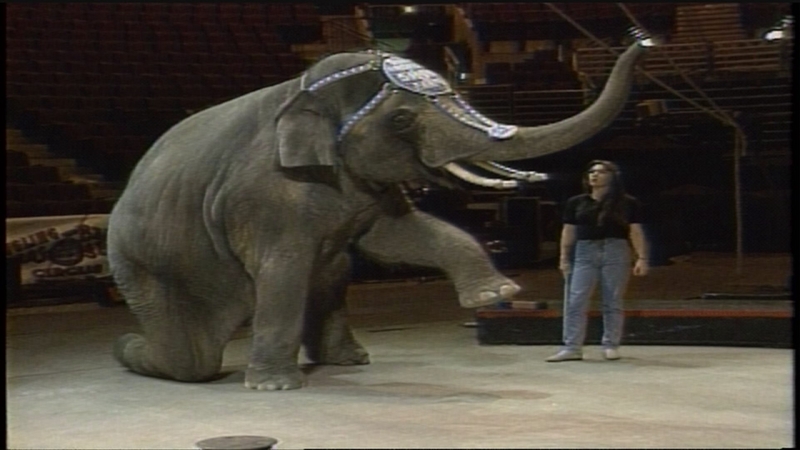 A 1995 I-Team investigation "Tamed or Tortured" revealed heavy-handed tactics employed by circus trainers and animal handlers to control elephants and teach them so-called "tricks." The I-Team showed how circus workers used metal "bullhooks" on elephants to make them respond-and the bloody injuries that accompanied such tactics. 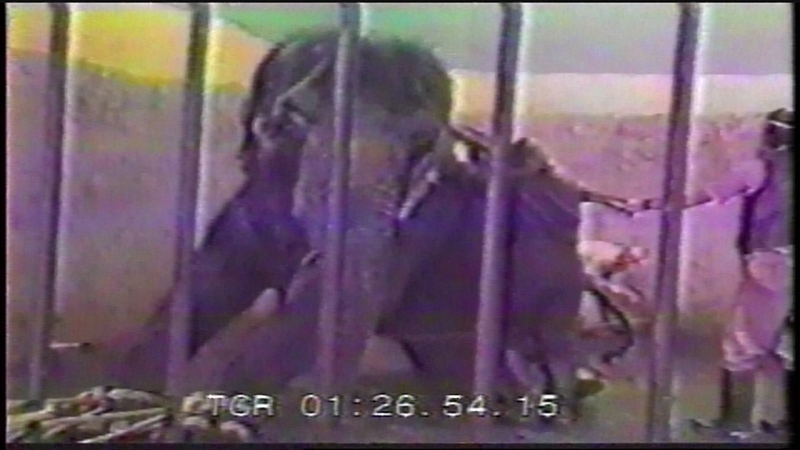 An investigation by the ABC7 I-Team in 1995, "Tamed or Tortured," revealed the tactics employed by circus trainers and animal handlers to control elephants and teach them so-called "tricks." Circus executives maintained their methods were intended to humanely guide the animals and not inflict harm-but videos showed a more brutal reality. The drumbeat against Ringling, its owner and circus producers became louder the past two decades with some cities banning the use of performing elephants in traveling shows. In 2015 Ringling officials announced that they would phase out elephants from all performances, but it was apparently too late. Attendance never recovered. Circus officials, who informed 500 employees this weekend after performances in Orlando and Miami, have said they will hold a news conference on Monday to discuss the decision. At one time the Ringling Bros. had three touring circuses, and made annual stops in Chicago and Rosemont. Now down to two touring units, there will be 30 more shows between now and May. Before the tents come down forever, stops include Atlanta, Washington, Philadelphia, Boston and Brooklyn. The final shows will be in Providence, Rhode Island, on May 7 and at the Nassau County Coliseum in New York on May 21. The circus goes back to the mid-1880's. Phineas Taylor Barnum made a traveling spectacle of performing animals and human oddities, while the five Ringling brothers performed juggling acts and skits from their home base in Wisconsin. Eventually, they merged and the modern circus was born under one name and single big top. Through the 20th century the circus took a back seat to other forms of entertainment and children became less and less enticed by animal and acrobat acts. TV, movies, video games and the internet were more popular with young people. "It's a different model that we can't see how it works in today's world to justify and maintain an affordable ticket price" Feld said. "So you've got all these things working against it." When the Feld family bought the Ringling circus in 1967 "The Greatest" was also the longest show on earth, at just under 3 hours. When the last shows play, they will be 2 hours and 7 minutes, with the longest segment - a tiger act - 12 minutes long. 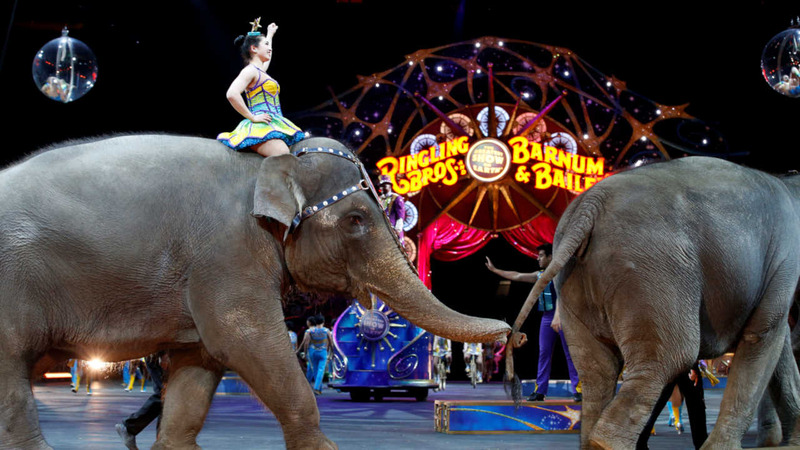 nature of making elephants behave and perform proved to be the undoing of the circus. Existing Ringling animals - lions, tigers, camels, donkeys, alpacas, kangaroos and llamas - will go to suitable homes. Ms. Feld says the company will continue operating the Center for Elephant Conservation. "After 36 years of PETA protests, which have awoken the world to the plight of animals in captivity, PETA heralds the end of what has been the saddest show on earth for wild animals, and asks all other animal circuses to follow suit, as this is a sign of changing times," Ingrid Newkirk, president of People for the Ethical Treatment of Animals, wrote in a statement. Some displaced circus employees will be placed in positions with the company's other, profitable shows - it owns Monster Jam, Disney on Ice and Marvel Live-but most will be out of a job. Juliette Feld said the company will help employees with job placement and resumes.